BEC5 is effective on sun spots (keratosis) and other kinds of persistent skin irregularities: Proven in numerous published studies over many years, (please Google for details), BEC5 can prevent invasive surgery. Why take BEC5 Curaderm Cream? The BEC5 cream contains active ingredient, Solasodine Glycosides, derived from eggplant and a less well-known plant from Australasia, the Devil’s Apple. After two decades of research, the biochemist Dr Bill Cham discovered that the natural cream works by stripping away a sugar called Rhamnose which is not found on healthy cells. After this has happened the immune system induces apoptosis and removes the unhealthy cell. Note: BEC5 should not be used on moles. Using the cream is extremely simple. Clean the area concerned with a mild antiseptic, (we recommend Hibiclens®) then dry and apply the BEC5 thickly over the area. Do this twice a day and cover it with a micro-pore dressing (to keep it moist). Below is a selection of the most commonly asked questions on BEC5. 1. I’ve noticed swelling and redness around the areas I’ve applied BEC5, is this normal? This is more than likely a reaction to any antiseptic you’re using rather than the cream itself. It’s important that the affected area on your body is cleansed with antiseptic before applying BEC5. 2. How long will it take for me to see worthwhile results? Typical treatment periods can include 8 to 12 weeks of applying the cream twice a day. The length of time will differ depending on a number of factors, including the area’s location and the severity of its condition. 3. Are there any precautions I should take when applying Curaderm cream? Ensure you keep treated areas constantly moist. This can be done by keeping said area out of direct contact with sunlight. Be sure to wash your hands thoroughly before and after applying the cream. 4. Can I cover the areas that I apply BEC5 cream to? Yes, a micropore dressing can be used to cover areas that the BEC5 cream has been applied to, and should be changed after each application, at least twice a day. 5. 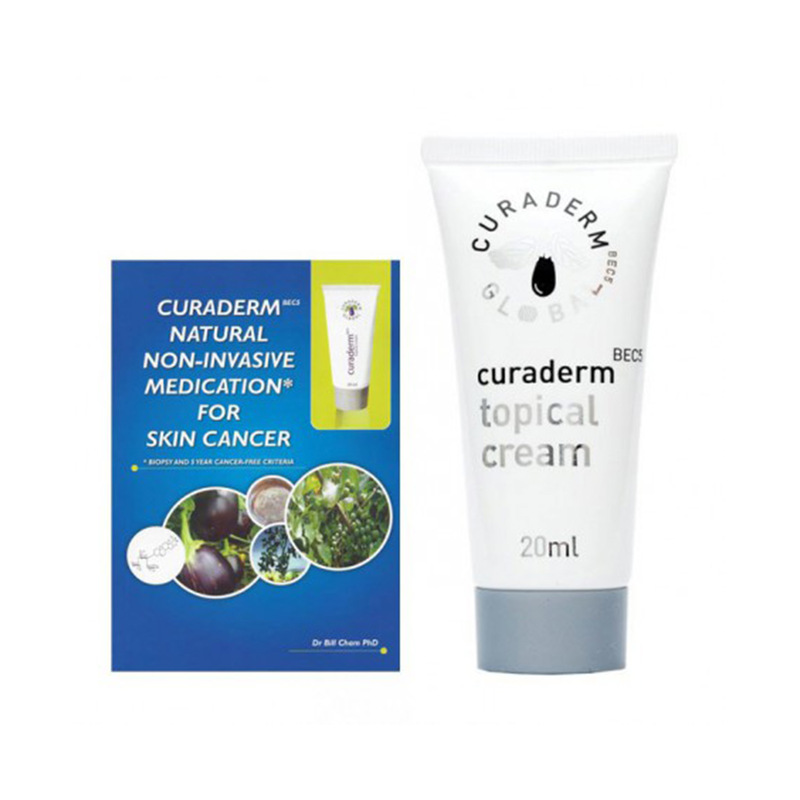 Can Curaderm cream be applied to all areas of the body? BEC5 can successfully be used on all areas of the body, but issues can arise when these zones are located on or in proximity to areas that emanate liquid, such as the eyes or mouth. Wet zones, like the inside of the mouth, will require extra application, and may take longer to heal. If not cared for properly, the BEC5 may falter in particularly liquid-heavy spots. I practised simultaneously during 6 months 3 injections per week of viscum album pini 0,1 mg.I'm very satisfied. Thank you very much for the quality and the efficiency of your cream!